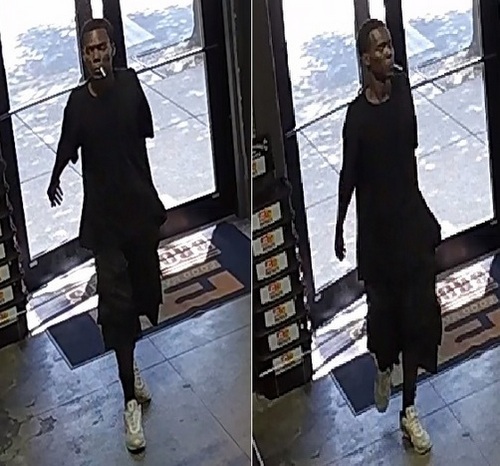 A man who stole a case of beer from a St. Charles Avenue business and then tried to stab the cashier earlier this year is now wanted by police after his image was caught on surveillance camera, and investigators are hoping the public can help identify him, New Orleans police said. The man entered a business in the 2100 block of St. Charles Avenue on April 25, 2018, and stole a case of beer, according to the NOPD report. A cashier followed him outside, but the thief drew a knife and “attempted to stab the cashier,” the report states, and then rode off on a red-and-black bicycle toward Calliope Street. Anyone with information on this incident is asked to contact NOPD Sixth District detectives at 504-658-6060 or call anonymously to Crime Stoppers at 504-822-1111 or toll free at 1-877-903-7867.